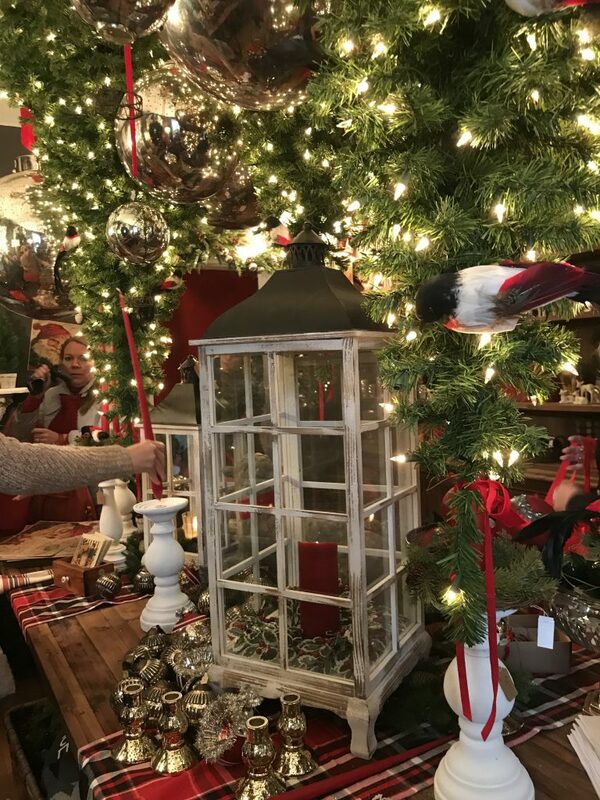 Last week we attended a local holiday design house event. 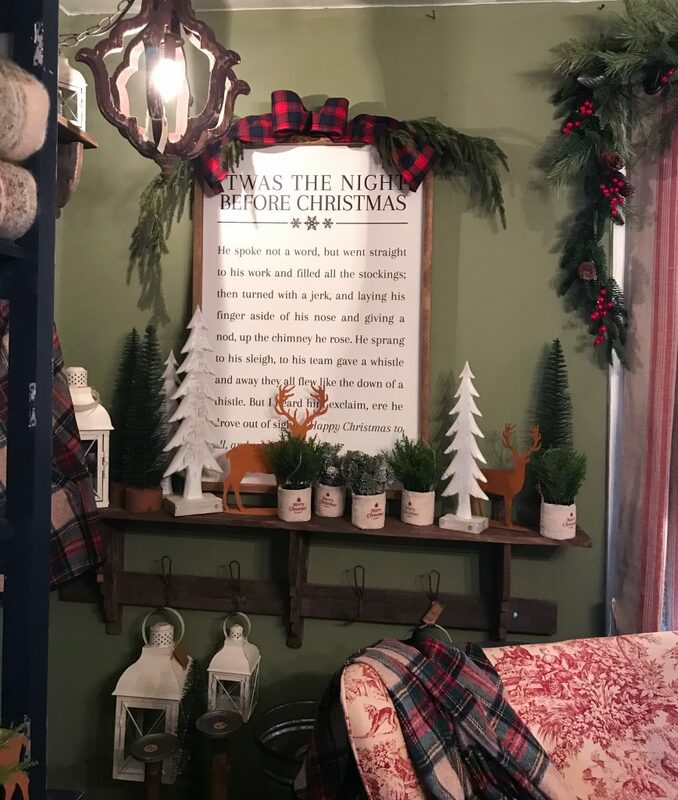 The small vintage farmhouse was decked out in decor that you could take down from the display to purchase and keep on shopping. It was dangerously fun. 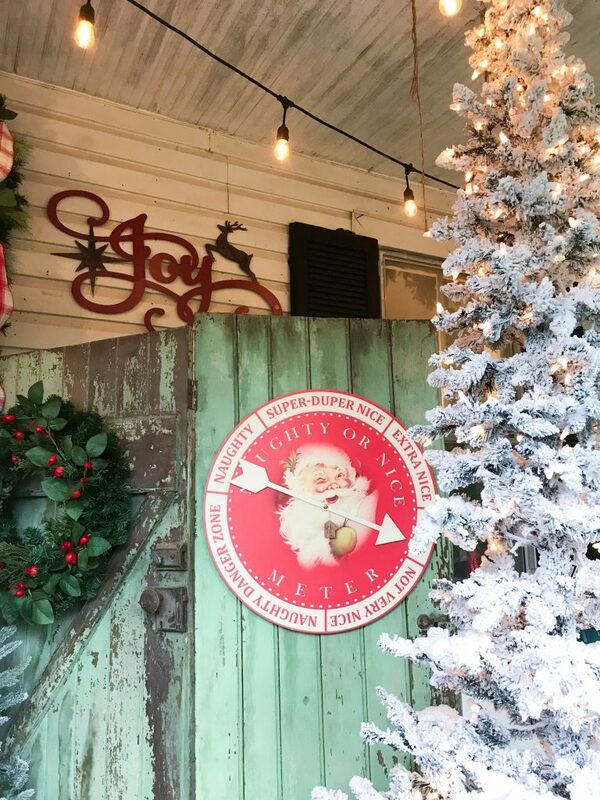 We love seeing what the designers put together each year and always walk away with arms full of goodies and lots of ideas to incorporate in our holiday decorating. 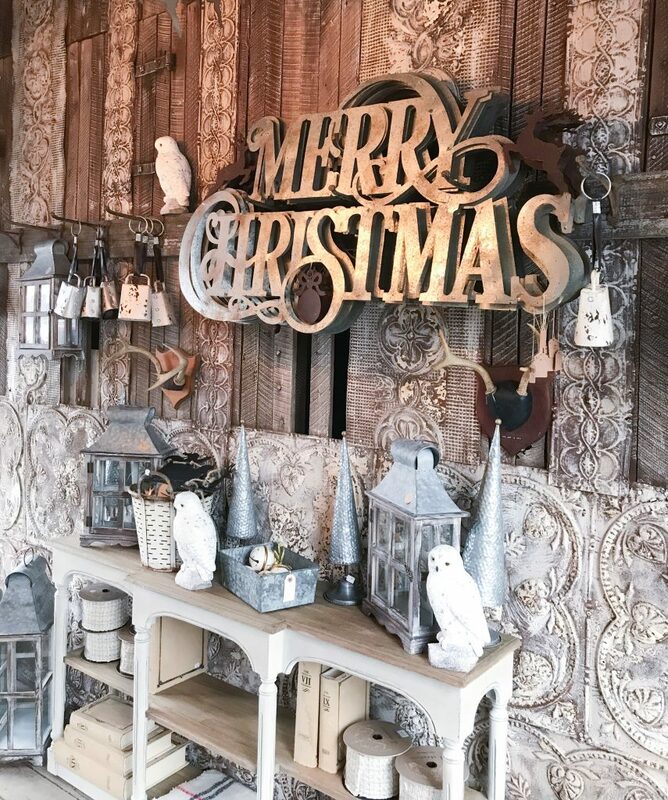 There were a few holiday design trends that we kept seeing from room to room. 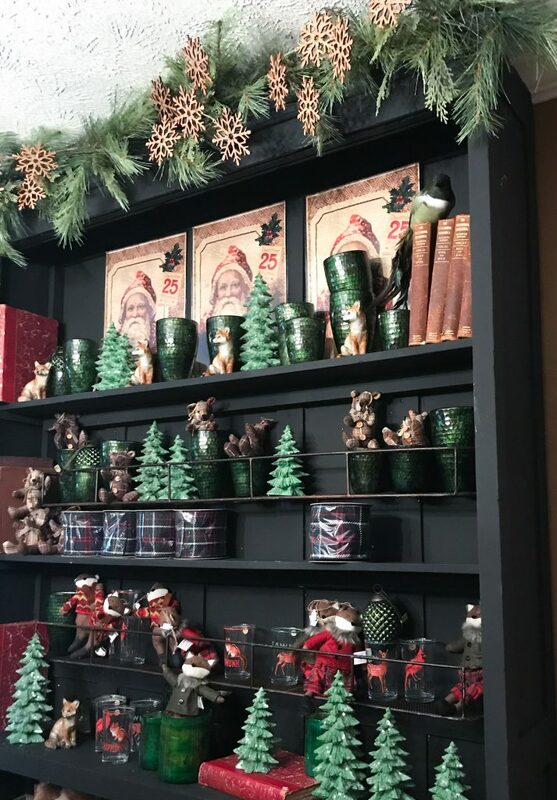 We’ve found some similar items for ya’ll so you can recreate your favorite holiday decor looks at home. 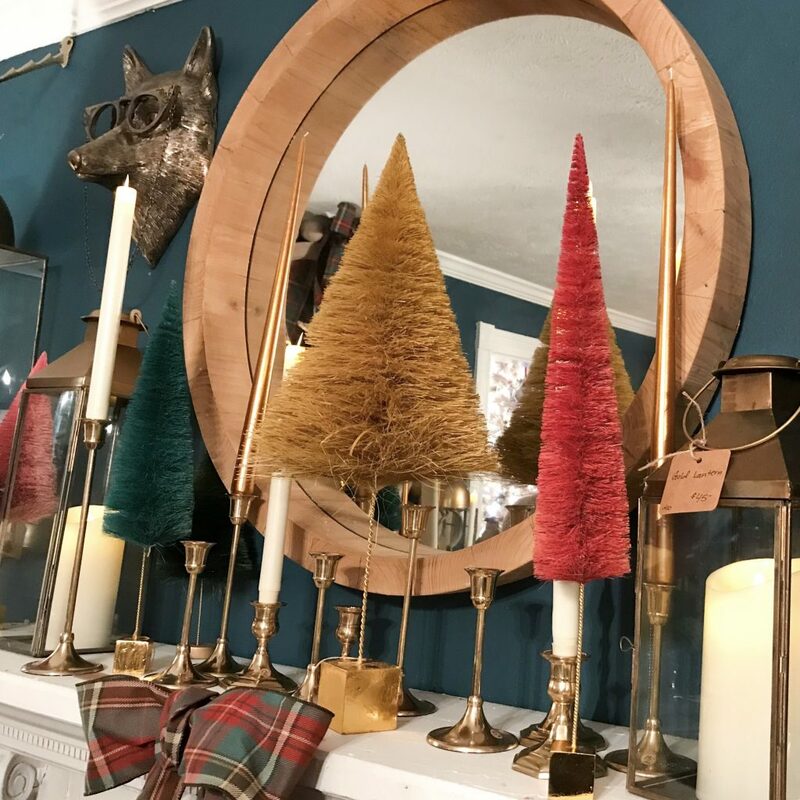 We love incorporating bottle brush trees into our holiday design. They are available in so many different shapes and colors now. You can find them at many big box stores and local craft stores as well as many online retailers. I love the gold hues and deep blues and pinks used in this room. 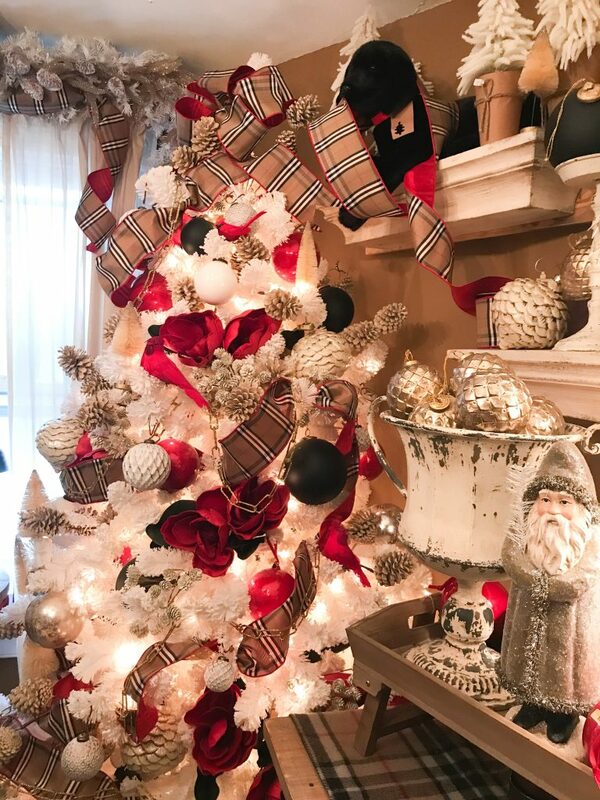 Inspired by the classic Burberry plaid pattern, this room used deep red and tan on a bright white tree. 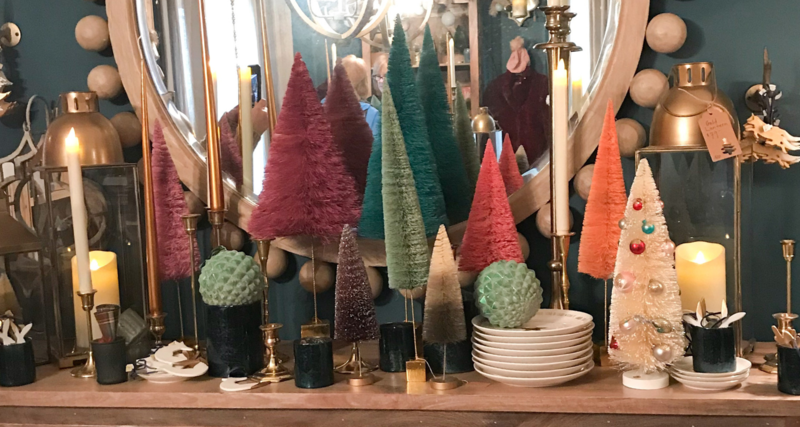 One of the biggest holiday design trends this season is flocked Christmas trees. The great thing about flocked trees is that they really don’t require much additional decor on the tree. We love how this red and black ribbon coordinates with the berries on the garland. It’s perfect for a vintage farmhouse look when you want a pop of classic Christmas red. This room features a more monochromatic design. The designers used the same color throughout the design but used different shapes and textures to mix it up a bit. This is one look that I would LOVE to replicate for our dining room this holiday season. 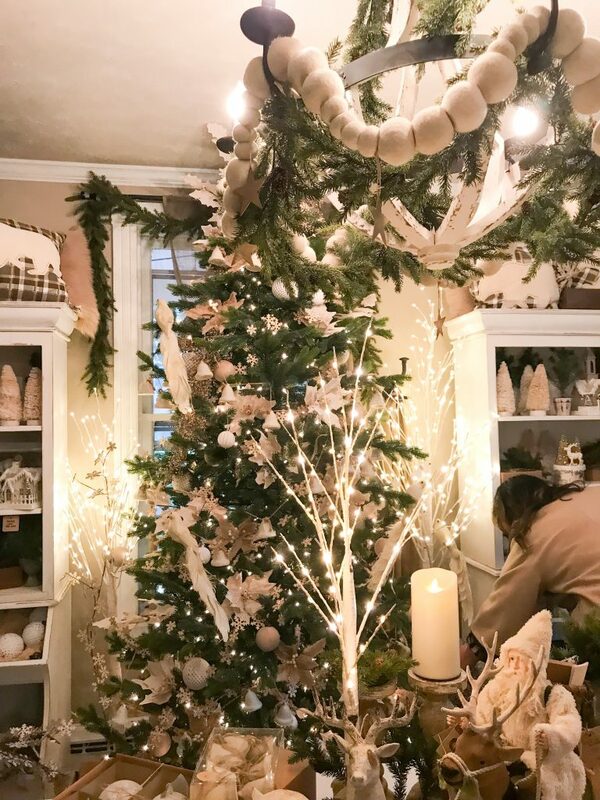 It looks as tho they secured small prelit faux Christmas trees to the ceiling hanging upside-down and mixed in some garland to fill in any gaps in the middle between the two trees. I’m not sure I’d use full trees if you have guests dining at the table and your ceilings are low, but it’s a really fun idea. 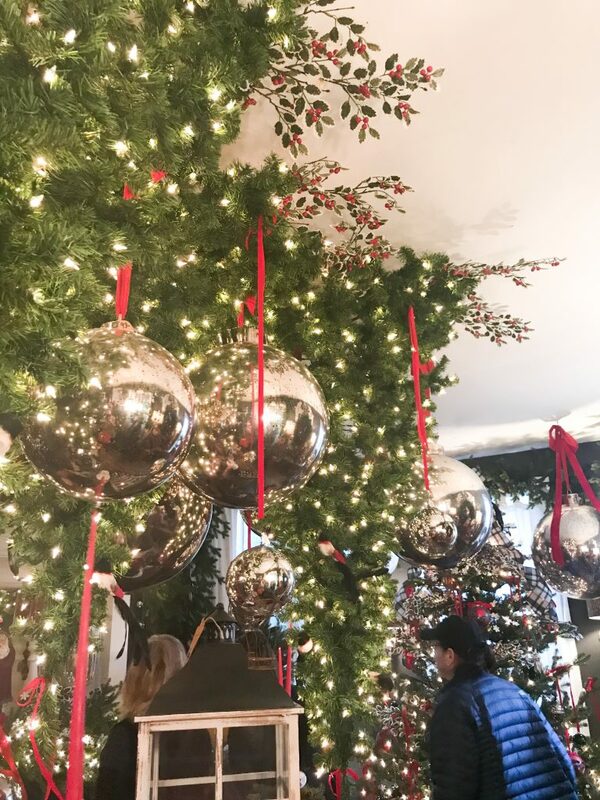 Oversized mercury glass ornaments are hung from the ceiling with ribbon and scattered throughout the greenery. Here’s an other shot of the room. It looked so lush and inviting. I love the shabby chic look of galvanized metal and soft white. You can incorporate the galvanized metal in so many different ways. We have a galvanized metal tree collar like this one for our tree. I hope that you found a few ideas to add to your holiday decor this season.